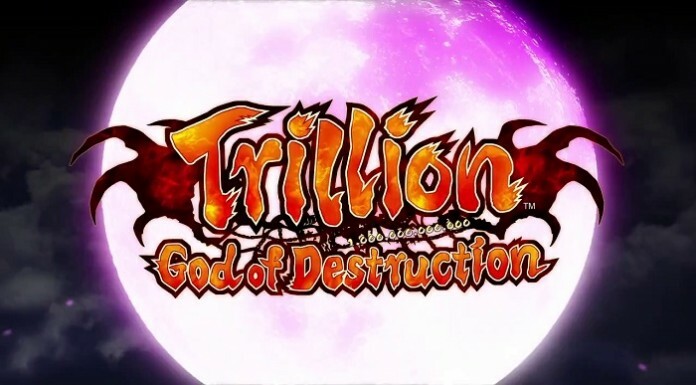 Trillion: God of Destruction is Compile Heart and Idea Factory’s newest JRPG for the Vita, and it’s dirty. Really dirty. It isn’t bad, or poorly written, and the gameplay is smoother than I was honestly expecting. So why is it so dirty? Because the game is a giant exercise in sacrifice, and it makes you feel like a horrible, horrible person. In Trillion you start off as Zeabolos, the Great Overlord of the underworld. Zeabolos gets a report that the underworld has been broken into by some powerful being, and it turns out that two of your subordinates that were supposed to be guarding the entrance to the underworld have gone off to either treasure hunt or buy candy. So what’s an overlord to do? Well, you send your brother, Astaroth, to go intercept the intruder, and you follow shortly behind him. Unfortunately, the intruder is Trillion (title drop), a God comprised of a trillion curses. Equally unfortunate is that he’s really, really strong. So you both die. Fortunately for Zeabolos, his soul gets salvaged by the mysterious Faust, and she agrees to help you destroy Trillion in exchange for your soul. Well now, we’ve got a deal. However, the problem is that Zeabolos’s body is sort of destroyed by Trillions curse, so now you’re all patchwork. 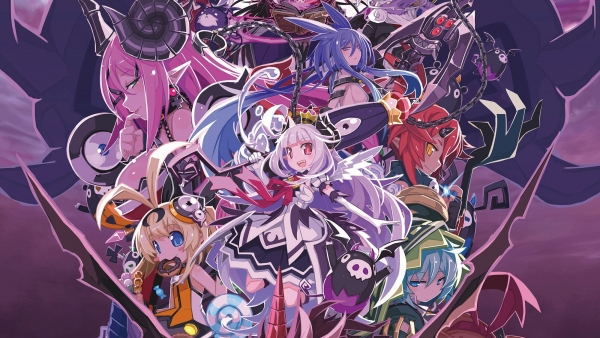 Well, Faust has a ring made from your soul that allows others to fight against Trillion, and you’ve got six overlord subordinates left, two of which have dereliction of duty impeachments, so it’s time to send them off to do battle with Trillion. Thankfully, Trillion periodically goes to sleep while destroying (read as “eating”) the underworld. When it goes to sleep, it has a super A.T. field though, so no one can get close to it. Perfect time to train up the overlords! Here is where the game starts getting dirty. You have to choose one of three starting overlords to kick off the battle against Trillion: Perpell, Mammon, and Levia. My first instinct was to choose Perpell, because she ran off to go eat candy and she seemed annoying, except she was young and the Great Overlords niece, so I felt kinda bad. So next up on the roster was Mammon, who ran off to go treasure hunting. I would come to regret that decision. Battling against Trillion takes place in cycles of weeks: each day in a week you can perform as many sub actions as you want and one major action, and that ends the day. After one whole week has passed, you engage in a mock battle with a wooden puppet, that will use similar attacks to what Trillion will in the upcoming confrontation. This is good practice, and it gives you a sizable chunk of exp if you win, or do at least decently in the battle. During a day, you have ten options to choose from: Training, Rest, Valley of Swords, Stat Increase, Character, Item, Research Lab (which gets unlocked shortly after starting), Blacksmith, Royal Quarters, and System. System is rather self explanatory, giving you the option to save, quit, and adjust settings, but also comes with a tutorial segment, which will be updated as you learn about in-game concepts. Royal Quarters is your basic Bestiary, giving you info on gift items, enemies, Trillion, and allowing you to view movies or CGs again. The Blacksmith deals with upgrading and enhancing weapons. You can shell out increasingly dubious amounts of cash to either sequentially increase your weapon attack by one, or to unlock slots to set bonus seals in. Bonus seals carry multiple effects, such as increasing stats, attack range, dodge chance etc. One thing I didn’t realize right away is that anything upgraded or set into your weapon gets lost if your overlord dies in battle, so new overlord, new level 1 weapon. The Research Lab is basically your shop. You can buy, sell, and recruit minions to take into battle with you. Item is pretty straight forward, you can check your inventory or give gifts to the current overlord. Character is checking total stats and setting equipment and minions. The last four options are probably where the bulk of your time will be spent. Training is the basic training for raw experience that can be converted into base stats, active skills, or passive skills. When training, you choose one primary stat to train for the day. You will get a bunch of points for the main stat and a few points for other stats. When training, you have a chance of getting: excellent, great, good, or poor training results. The better the results, the more experience you earn. In addition, you also build up a fatigue meter. 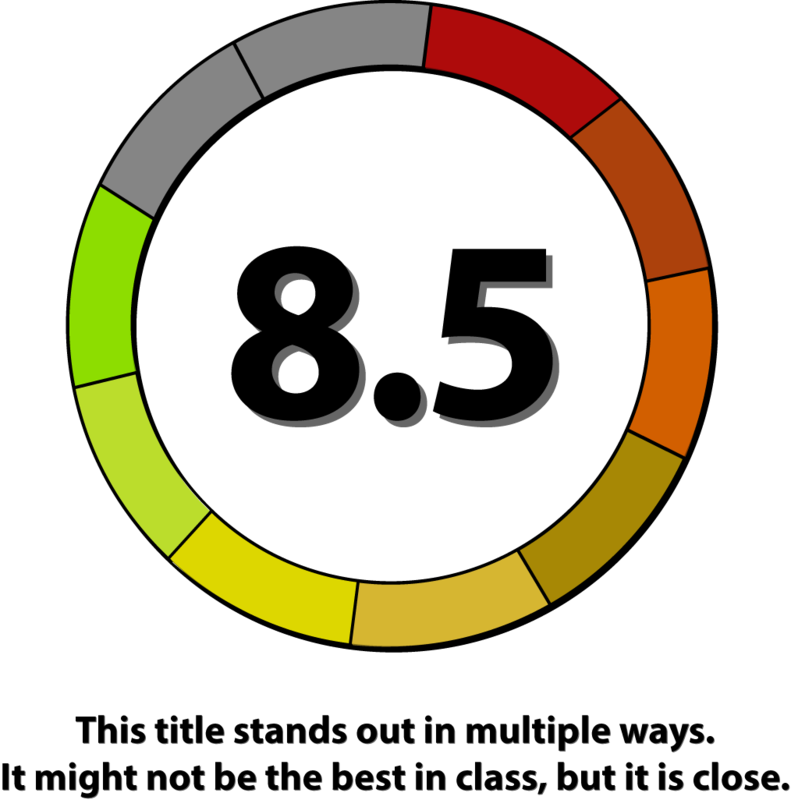 When the meter gets too high, the results from the training will steadily get worse, so you will either need to rest or use a fatigue relief item. By choosing rest, you have the option to either sleep for the day, interact with the overlord, or ask the populace for war funds, which will take a day of your time, or you can play with a Gatcha machine to get gifts for the overlords, which won’t use any days. Resting relieves 50% of your fatigue where interacting with the overlord increases affection and restores a small bit of fatigue. By this point you’re probably wondering what affection is about, don’t worry, I’ll get to that soon. Valley of Swords is a miniature rogue-like randomly generated dungeon, where you can kill enemies for stat experience and open chests for loot. You have a limited number of actions though, so you better think smart. You need five training tokens to enter, which can be obtained from getting either good or excellent during training. Best part is, Valley of Swords doesn’t use a day, so it’s basically a free action. Now we get into the Stat Increase. Here you can spend points to upgrade base stats, or buy/upgrade active/passive skills. 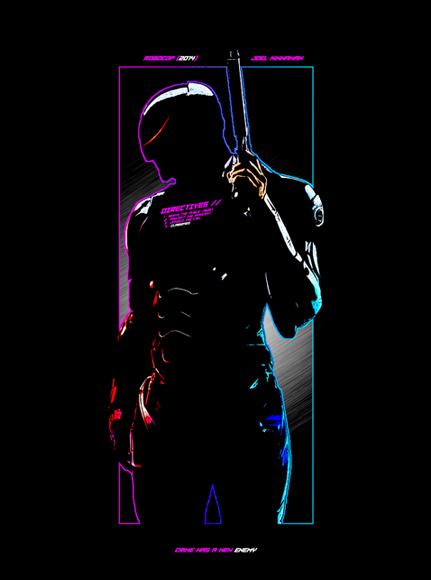 How you choose to build your character is up to you, but I recommend having many separate save files. Trust me, you may need them. So, about affection points. Basically, giving gifts to an overlord will give you both affection rating and points. Affection points are used in place of health and MP when you’re in battle, meaning any damage or MP cost will come out of your affection points before the come out of your health or mana pool. The actual rating will go up or down based on gifts given and interaction choices. Apart from a few passive skills being based on the rating, there isn’t a lot of explanation, so its up to you to figure out how the mechanic works. Affection points used during event battles, the mock battles, and Valley of Swords will be reimbursed after the events, but affection points used during the trillion fights won’t be, so be prepared for that. Occasionally, after using a day, an event may occur. These events include: additional training, interactions with characters, playing with the pet Cerberus, among other things. Your choices will determine what effects these events will bring, but they aren’t always the same outcome, so pray to RNGeesus for good luck. Actually, you may as well pray a lot, because a sizable chunk of this game can be based on how lucky you are. 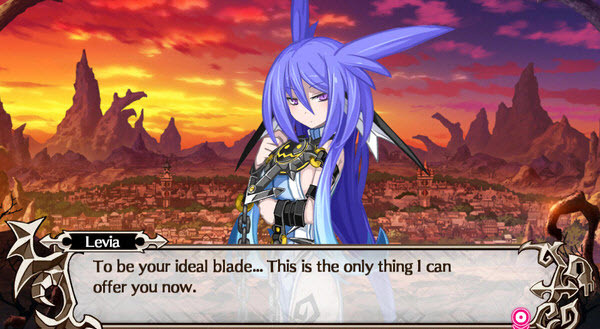 Unfortunately, I’m not, which proves to be by far my biggest issue with Trillion, both the game and the creature. As I mentioned earlier, getting great or excellent during training gives better experience and a training medal. In fact, if you get three excellents in a row, you get fever time for seven days, making all of your training results excellent. If you get three poor in a row, you get a chance to multiply your earned experience in the next session. So, the fact that I went through an entire overlord with only a “good” rating during every single training session was really infuriating. The worst par of the random nature of the game has to be some of the Trillion fights. Trillion has multiple forms, and will switch when his health reaches certain check points. My least favorite award goes to the dragon form. I had one run where I Iost three overlords without being able to hit him at all. He just kept using “repelling winds” to blow me into a corner while constantly nuking me from a very safe distance. I literally almost chucked my Vita at the wall about nine times before I just gave up and restarted. But how does the battle system actually work? It’s actually surprisingly simple. Everyone takes turns moving on a grid-based map. True, old-fashioned original Rogue style, which brings back a flood of nostalgia from when “D” meant dragon and dial-up was the newest thing on the market. You can move, and attack, in any of the cardinal directions as well as diagonally. 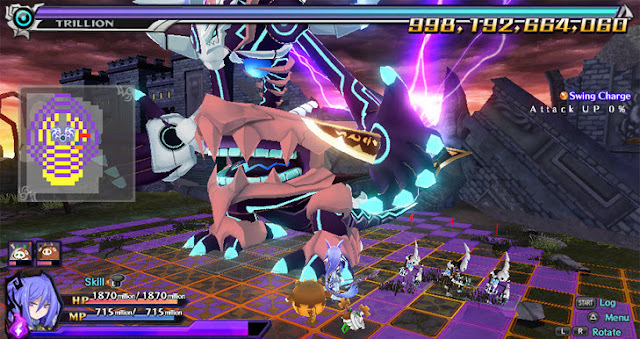 Enemies don’t move unless you do, and most of Trillion’s large attacks take a wind-up period that’s wonderfully color-coordinated for you on both the mini-map and grid field. Pro tip, don’t stand on the red tiles. You can also bring minions with you to the mock battles and Trillion fights, provided you have the command cost to support them. For specifically the Trillion battles, he has multiple areas to attack, all of which have armor ratings. By destroying the armor, you significantly decrease his defense as well as prevent him from using any attacks making direct use of that body part. 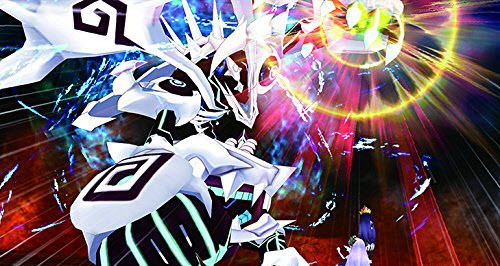 During the Trillion fights, as long as you still have some affection points left you can order your overlord to retreat. You can do this twice before you’re forced into a last stand, earning experience and extra training time along the way. When you lose one of your overlords, you have death skills that you can choose one from to be activated. You can do a large attack, seal a body part, fortify the next overlords weapon, become a minion yourself, or extend the period Trillion stays asleep in order to train more. This right here is why I said the game is dirty. 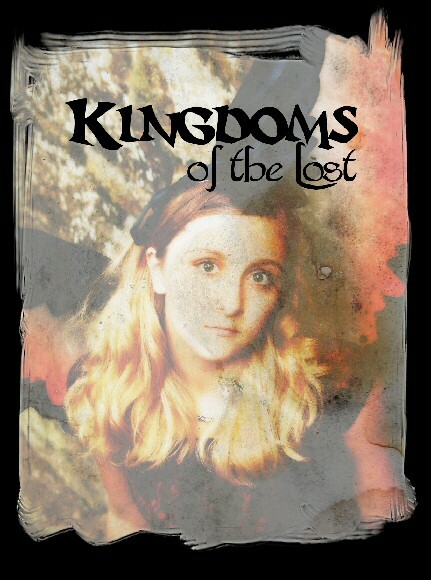 Back up there somewhere I mentioned I chose Mammon because I wasn’t too fond of her character. Well, I rather came to like Mammon. A lot. I won’t go in depth about her character and background, but watching her die was about as painful as the Hughes from FMA or watching almost all of Chrono Crusade. Its painful, it hurts, I wept manly tears, and to top it all off, you have to sit through more than once. Very rarely have I ever played a game where I started out disliking most of the cast, then found myself unable to part with them. This is one of those games. I kept on thinking to myself “If only I did better, it wouldn’t have turned out this way. Why did you have to bring up the orphanage? Stop with the feels!”. Imagine Factory and Compile Heart did a wonderful job bringing out the most in characters that started out unreasonable or unlikable, and I was genuinely liking all the characters after a while had passed. True to the Compile Hearts and Imagine Factory fashion, all the characters in cut-scenes are portrayed in dynamic anime-style cut-outs. 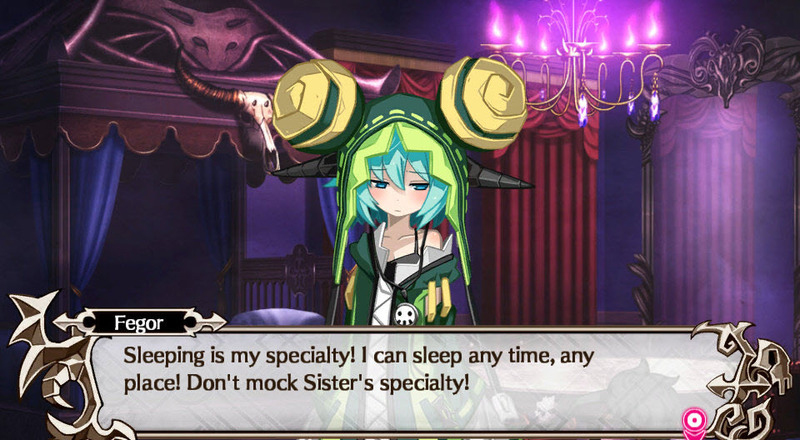 If you take a look at some of the Hyperdimension series’ cut-scenes you’ll catch on quick. The battles are rendered in full 3-D with much more fluid character animations and camera rotation than I was expecting. Movement can be done in short, choppy bursts, or you can move constantly in a fluid motion. While the visuals aren’t anything particularly new or breathtaking, it’s not like they’re bad either. While CH and IF haven’t really had any super leaps in terms of graphical diversity in the last little while, they’ve only had time to refine their forte. For all those worrying, yes the game does have a new game plus feature, so feel free to go smack Trillion upside the head for viciously murdering all of your favorite characters. As a bit of an aside, the minions are useful. They’re really useful. They only take 10k damage from a hit, they pull aggro and they block annoying sub-units. But they’re dumb. Like, really, really dumb. You can’t control them; they just follow you or smack the nearest thing available. The amount of time I’ve sat there and just face-palmed through an entire fight because the minion sat in the range of the attack that pushes them to the back of the screen is way too high. Overall, Trillion (the game, not the monster) was much more enjoyable than I was honestly expecting. You build a liking for most, if not all, of the characters, the battles are fluid, the soundtrack is solid and the gameplay is well defined. While the style might be a little too specific for most people, those used to either JRPGs or Rogue-likes ought to get a fair amount of enjoyment out of it. While it does have a few drawbacks, none are truly game-breaking or debilitating to the point that you start to hate. I laughed, I cried, I had fun, I cried, I almost threw my Vita at a wall, I mourned my losses, but I can honestly say I enjoyed the experience as a whole. Let’s just hope your random number generators are more forgiving than mine.